@wooza I know exactly what you mean. I have had this before the taw UK servers went down. They are still down for maintenance. But one of the UK servers was double exactly as you describe. It's your server history. Clean it and the "bug" will be gone. My servers stopped reporting to hive since using sv_dyndns. Is this a bug or needs uwe.acedude to manually add them back to hive whitelist? The server now reports with the dyndns to hive and is therefor handled as new server which means you have to collect 50 rounds and need to be white-listed by acedude another time. That narrows it down then, the reason behind my logic is wooza server is unique in that it uses a modified binary and the game wasn't designed to accommodate that many players so logic dictates if you are troubleshooting, find out if it isolated to said server first if it is not then we can determine its an inherent problem across all servers, like it or lump it @wooza its the truth I have nothing against wooza as i frequent there regularly but you must at first hard acknowledged putting your own spin on the game can potentially come with its own consequences, it would be ignorant not to. Ban 120.144.34.154 Are you sure you are running 276.1? On a more serious note we are still looking into it. Can you upload the log? The stuff before the ack-spam starts may contain a lead to what the issue is. Those logs just contain the normal start up sequence. We need the log including the ack messages. Most helpful would be if you could run net_log 1024 in the rcon before it happens. Just a quick information for server operators: Using sv_dyndns will your server stop sending stats to hive, which makes the command kinda useless right now. Not entirely, servers with dynamic ips have almost no chance to get white listed for long at hive anyway. Now at least they are kept in the player's favorite list. 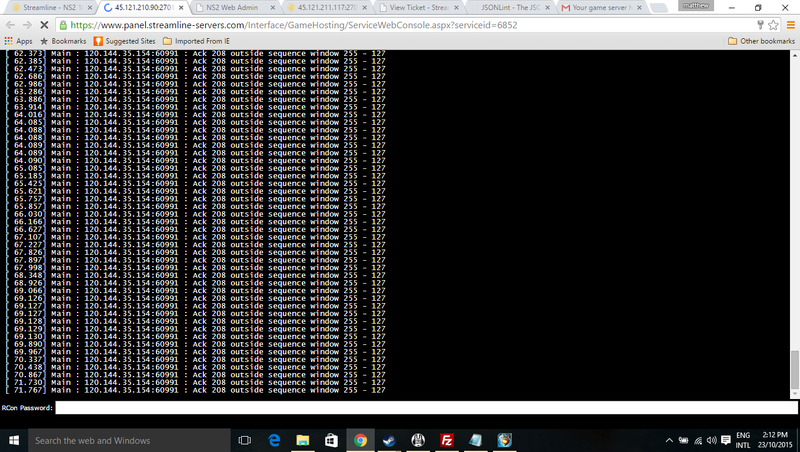 And it won't stop the server from sending data to hive but hive fails to process them. The variable ip was a wash anyway in terms of whitelisting. Also @oozle you did notice the message regarding ns2+ right? No ghoul said something else first. Many servers have a dynamic IP adress and some of them suffered so much from it that the owners have to shut down the server (eg. Scatterverse). I was very excited when i saw this task finally got implemented, but as it is now = not usable. Edit: @oozle I would suggest deleting ns2+ mod from startup file and mapcycle. Delete it also from the workshop folder. after that download it again and add it to the startup and mapcycle. Do you run any other mods than shine and ns2+ ? @wooza While I agree that I expected the dyndns function to work as described, we are in no way worse off. If we do not use it, we have the old way where a ip is whitelisted, the server gets a new ip, and the fun starts again. In practical terms this means the server simply is not whitelisted. If we use it, the server is not whitelisted. So from a perspective of having the server report to the hive, its not happening in either case. But with the dyndns we can have them as favorite, which just is a step in the right direction. I am well aware of the 'fun' of having servers on dynamic ip. 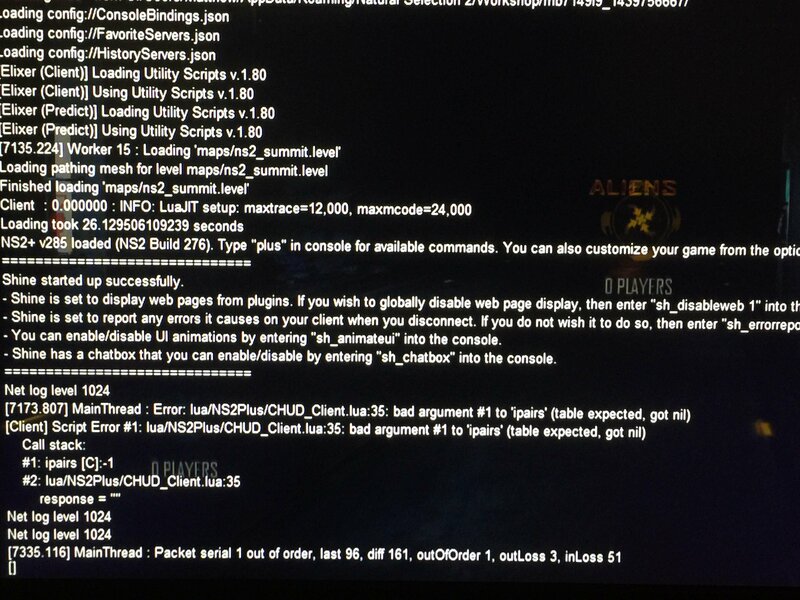 TAW sadly has NS2 EU servers on dynamic ip also. I hope having this dyndns around helps when the hive gets its much needed replacement. Once I set sv_dyndns on the server console, will it save in a config file somewhere or do I need to run the command every time the server.exe restarts?